Charles Van Dell Johnson (August 25, 1916 – December 12, 2008) was an American film and television actor and dancer. He was a major star at Metro-Goldwyn-Mayer during and after World War II. Van Johnson's long time companion and partner was Allen Foshko (1934-2007), who was also his business manager. Johnson was the embodiment of the "boy-next-door wholesomeness (that) made him a popular Hollywood star in the '40s and '50s," playing "the red-haired, freckle-faced soldier, sailor or bomber pilot who used to live down the street" in MGM films during the war years, with such films as Thirty Seconds Over Tokyo, A Guy Named Joe, and The Human Comedy. Johnson made occasional World War II films through the end of the 1960s, and played a military officer in one of his final feature films, in 1992. At the time of his death in December 2008, he was one of the last surviving matinee idols of Hollywood's "golden age". Johnson married former stage actress Eve Abbott (May 6, 1914 – October 10, 2004) on January 25, 1947, the day after her divorce from actor Keenan Wynn was finalized. In 1948, the newlyweds had a daughter, Schuyler. By this marriage, Johnson had two stepsons, Edmond Keenan (Ned) and Tracy Keenan Wynn. The Johnsons separated in 1961 and their divorce was finalized in 1968. According to a statement by his former wife Eve that was first published after her death at age 90, their marriage had been engineered by MGM to cover up Johnson's alleged homosexuality: "They needed their 'big star' to be married to quell rumors about his sexual preferences and unfortunately, I was 'It'—the only woman he would marry." 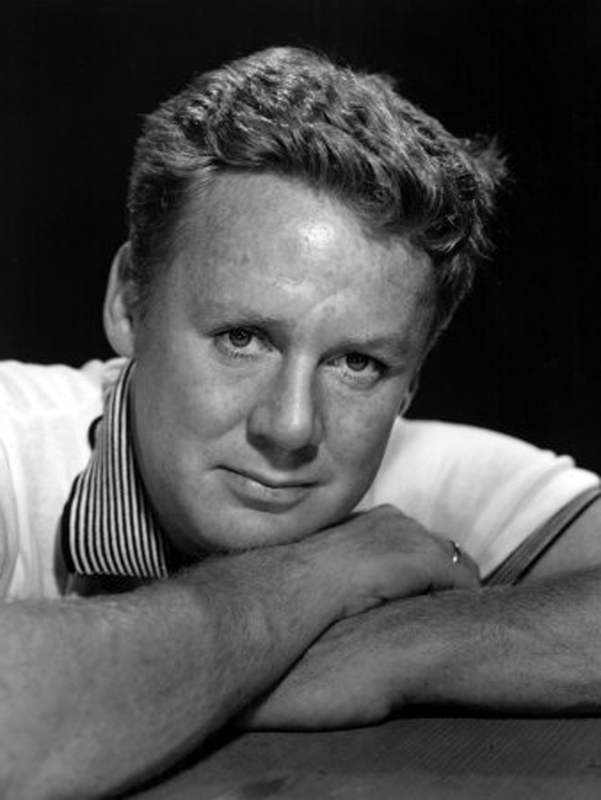 Johnson's biographer, Ronald L. Davis, has written: "that Van Johnson had homosexual tendencies seems to have been well known in the film capitol", but this was covered up due to the film colony's respect for a performer's privacy. Also, studio executive Louis B. Mayer made strenuous efforts to quash any potential scandal regarding Johnson and any of his actor friends whom Mayer suspected of being gay..
After retiring from acting in the early 1990s, Johnson lived in a penthouse in the Sutton Place area of East 54th Street on Manhattan's East Side until 2002, when he moved to Tappan Zee Manor, an assisted living facility in Nyack, New York. After having been ill and receiving hospice care for the previous year, he died there on December 12, 2008 at age 92. Wendy Bleisweiss, a close friend, indicated that he died of natural causes. His body was cremated.